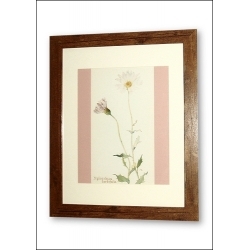 These beautiful watercolour flower pictures are all by American artist Margaret Armstrong. 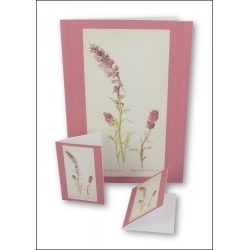 This set contains 24 full-size A4 sheets, each featuring a small pyramage set as well as two small motifs that are suitable for A6 or small tall cards. 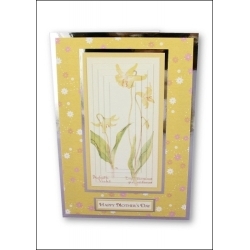 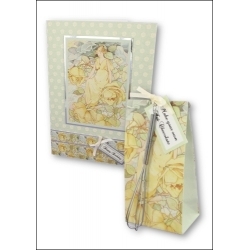 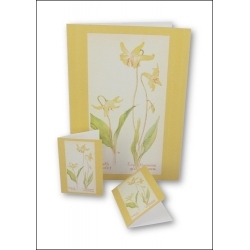 This set contains 24 full-size A4 sheets each featuring an A6-size notecard and two little gift tags with beautiful flower watercolours by artist Margaret Armstrong. 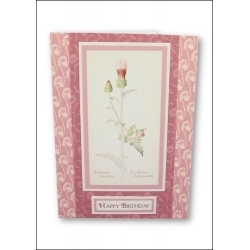 This motif set contains 24 full-size A4 sheets featuring gorgeous high-quality flower pictures by artist Margaret Armstrong. 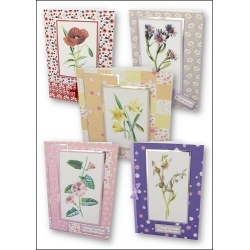 This set of full-size A4 prints contains 24 gorgeous high-quality flower pictures by artist Margaret Armstrong. 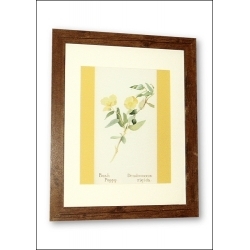 Print and frame them for your home, give them as gifts or print them multiple times and sell them, it's up to you. 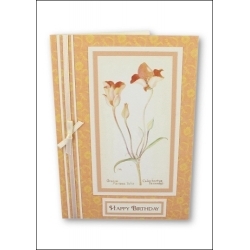 This 36 sheet set features some absolutely beautiful watercolour flowers, all of which have been made into motifs, small and large pyramage, notecards and notecard motifs. 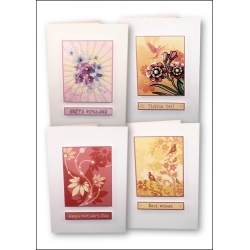 There are also stunning backgrounds to match each range which really do give the images the perfect finishing touch. 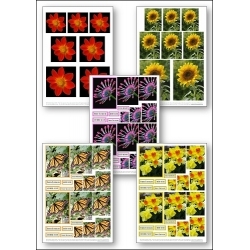 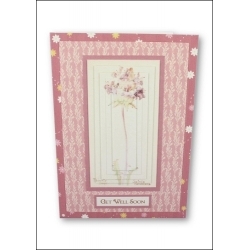 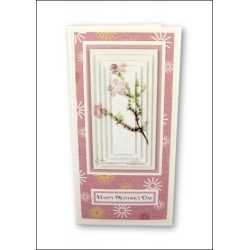 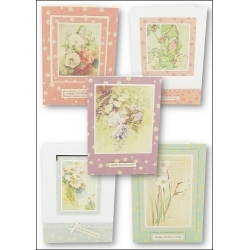 This set contains 40 great A4 size sheets containing lovely flower photo images including motif and pyramage sheets to print and cut out.Each pyramage sheet also includes some greetings to enable you to make a complete co-ordinating card. 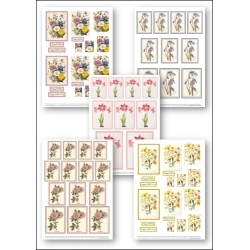 This set contains 40 great A4 size sheets containing pretty flower images, 20 great motif sheets and 20 pyramage images to print and cut out.Each pyramage sheet also includes some greetings to enable you to make a complete co-ordinating card, especially great for birthdays and Mother's Day.